mazing, these blues notes; for me, a subject that never ceases to fascinate, those small, dirty inconsistencies that give Swing its grooviness time and time again.. Recently, I thought that it would really sound very interesting if these hallmarks of jazz were actually played on historical instruments. What really surprised me, however, was discovering - in the course of comparing the baroque compositions of old maters - that these stylistic tools of the musical revolution of the 20th century were in fact quite usual back in Bach's day or at the court of the French King. I wish you a most pleasant evening with this concert. 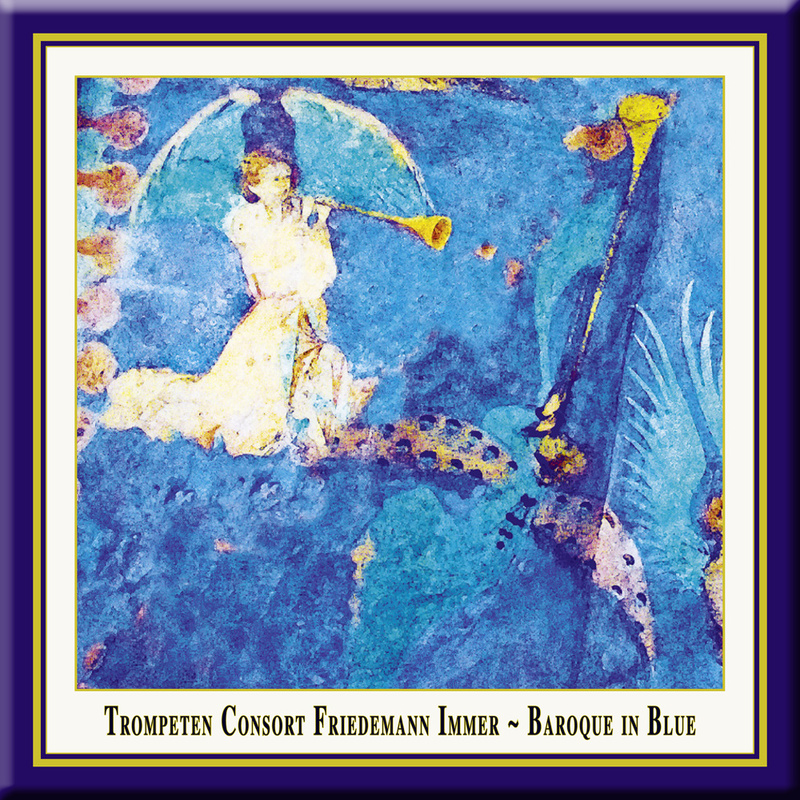 stablished in 1988 by Friedemann Immer, the Consort dedicates itself to the music played by the trumpet ensembles of the Baroque age The Consort's programmes exude the wonderfully resplendent sound typical of the music of that time. All the members of the ensemble are specialists in old music and, accordingly, the trumpeters play baroque trumpets that have no valves. In doing so, they are treading in the footsteps of a profession that was highly regarded at a time when powdered wigs and buckled shoes were de rigueur. The trumpet players employed at the courts and in the towns, who provided the necessary musical accompaniment at coronations, weddings, tournaments and other festive occasions, banded together in guilds of their own that had extremely strict rules and regulations. The ensembles were made up of three to eight trumpeters and timpanists, supplemented by strings, woodwinds and continuo instruments. 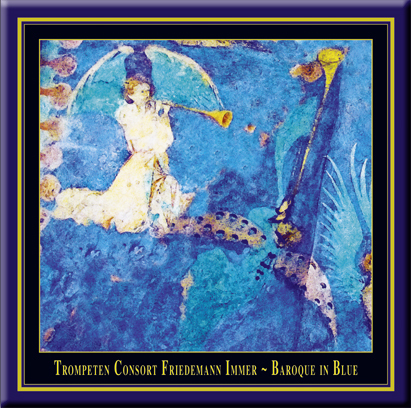 In its "normal" line-up, the Friedemann Immer Trumpet Consort is accompanied by timpani and organ - so that the magnificent sound of the trumpet stays firmly in the forefront of things. In some works, the organ takes over the string part - an arrangement that is totally in keeping with the practice of the times. The ensemble's repertoire encompasses all of Baroque music. The line-up is unusually large for a standing ensemble of Baroque trumpets and allows a lot of different options in the way of variations. So the Consort not only performs works for one to six trumpets with accompaniment, it also presents - along with outstanding song soloists - cantatas and arias with all the original parts being performed. In many a project, strings are also brought in. And, as what can be done musically and sound-wise on the Baroque trumpet differs quite considerably from anything that its present-day "daughter" with all its valves can do, the ensemble has also turned to interpreting modern works on the Baroque trumpet - and they are probably totally alone in this. The repertoire of the Trumpet Consort not only includes original works by Benjamin Britten, for instance, but quite a large range of jazz pieces as well. Since its formation, the ensemble has been giving concerts both at home and abroad. They have played at many different festivals, examples being the Arolsen Baroque Festival, the Styriarte in Graz and the Kokutopia Festival in Tokyo as well as the International Trumpet Guild Conference and the Historic Brass Symposium in the USA. riedemann Immer is one of the most sought-after trumpet players on the international concert scene. In the seventies, alongside the modern trumpet, he began to specialize in playing the Baroque trumpet and has since then been performing with different orchestras all over the world, such as the Freiburg Baroque Orchestra, the Concentus Musicus in Vienna, the Academy for Old Music in Berlin, la Stagione in Frankfurt, the Academy of Ancient Music, Boston Baroque, Aston Magna in Boston and many others. In the process, he has worked with many conductors and directors, including Nikolaus Harnoncourt, Frans Brüggen, Thomas Hengelbrock, Ton Koopman, Philippe Herreweghe, Markus Creed, Martin Pearlman, Ivor Bolton and Hellmuth, to name but a few. The fruits of all this can be seen in the 80-plus CD releases and countless radio and television productions. He is Professor for the trumpet at the Cologne University of Music and for the baroque trumpet at the Conservatorium van Amsterdam in Holland. Over and above this, Friedemann Immer also holds regular courses and workshops at different universities all over the world. laus Hannes Osterloh was born in Bremen in 1952. After completing his studies at the University of Music in Duisburg, he accepted a teaching post there and also started to play with the Duisburg Sinfoniker and the Essen Philharmonic. In 1978, he moved to Stuttgart to perform with Erwin Lehn and his Südfunk Dance Orchestra (today, the SWR Bigband). 1983 found Klaus Osterloh with the WDR Bigband in Cologne (Head Director since 2002: Michael Abene). Because of his engagement at the WDR, he works regularly with guest conductors and jazz soloists from all over the world. He has many TV and CD productions to his credit, as well as international tours, 4 Grammy nominations and one Grammy for the "Best Large Jazz Ensemble" of 2007. A host of CD recordings of jazz and Baroque music document his career as an artist. Klaus Osterloh is closely associated with both traditional jazz and old music. He is bandleader of the Atlanta Jazzband in Cologne; he also sings and writes music and has been a member of the Friedemann Immer Trumpet Concert since it started back in 1988.